Thomas Merton's deep roots in his own Cistercian tradition are on display in the two sets of conferences on the early days of the Order included in the present volume. The first surveys the relevant monastic background that led up to the foundation of the Abbey of Cîteaux in 1098 and goes on to consider the contributions of each of the first three abbots of the "New Monastery" that would become the epicenter of the most dynamic religious movement of the early twelfth century. The second set investigates the arc of medieval Cistercian history in the two centuries following the death of Saint Bernard, in which the Order moves from being ahead of its time, in its formative stages, to being representative of its time in its most powerful and influential phase, to becoming regressive with the rise of new religious currents that begin to flow in the thirteenth century. Merton stresses the need to respect the complexity of the actual lived reality of Cistercian life during this period, to "beware of easy generalizations" and instead consider the full range of factual data. 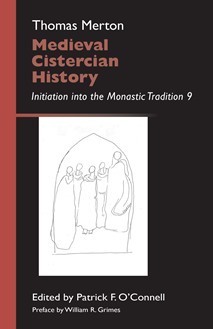 The result is a richly nuanced picture of the development of early Cistercian life and thought that serves as a fitting concluding volume to the series of Merton's novitiate conferences providing a thorough "Initiation into the Monastic Tradition." Thomas Merton (1915-1968), Catholic convert, Cistercian monk and hermit at Gethsemani Abbey, poet, contemplative, social critic, and pioneer of interreligious dialogue, was a seminal figure of twentieth-century American Christianity. Patrick F. O'Connell is professor of English and theology at Gannon University in Erie, Pennsylvania. A founding member and former president of the International Thomas Merton Society, he edits The Merton Seasonal and is coauthor of The Thomas Merton Encyclopedia. He has edited eight previous volumes of Thomas Merton's monastic conferences for the Monastic Wisdom Series, most recently The Cistercian Fathers and Their Monastic Theology (2016), and he is also editor of Merton's Selected Essays (2013) and Early Essays: 1947-1952 (2015).